Trainer David Payne has autumn Group One ambitions for Deep Chill after the colt’s Warwick Farm win. Hugh Bowman insists Deep Chill is a two-year-old certain to make a name for himself but the champion jockey doubts it will be in the Golden Slipper. And trainer David Payne agrees despite Deep Chill producing a late finish to win the Sledmere Stud Plate over an unsuitable 1200m at Warwick Farm on Wednesday. “He doesn’t feel to me like a real Golden Slipper-type of horse,” Bowman said. “And maybe that are not Golden Slipper horses he was up against today but I feel it is a well above average maiden. 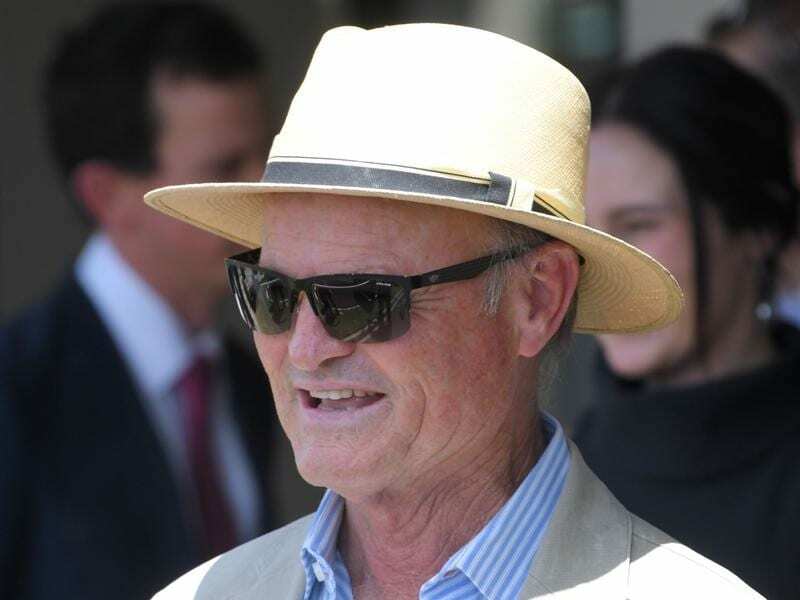 Deep Chill isn’t among the remaining entries in search of a berth in next month’s $3.5 million Golden Slipper but there is a provision to pay a late entry fee into the world’s richest juvenile. It’s a scenario unlikely to happen with Payne settling for two other autumn Group One races that will be more compatible with Deep Chill’s pedigree. Deep Chill is the first winner for his sire Wandjina but he there is a strong dose of stamina on his maternal side as the sixth foal from the Queensland Oaks and Coolmore Classic heroine Eskimo Queen. “He’s more of a Sires’ and Champagne Stakes horse. The Slipper will be a bit sharp,” Payne said. The $1 million ATC Sires’ Produce Stakes is the second pin of Sydney’s triple crown for racing’s babies and will be run over 1400m two weeks after the Golden Slipper. Two-year-olds looking for further ground can progress to the $500,000 Champagne Stakes over 1600m at the end of the autumn carnival. Deep Chill ($5) took a step back in class on his minor placing in the Group Three Canonbury Stakes to break through at his third start. He was asked to improve inside the final 200m before overhauling the favourite Still Single ($3) and win by a long neck. The win gave Payne a double and a perfect day at the races as his only other runner Costello scraped the fence to win the ANZ Bloodstock News Handicap (1600m).